Raise Em' Up this New Years Eve! 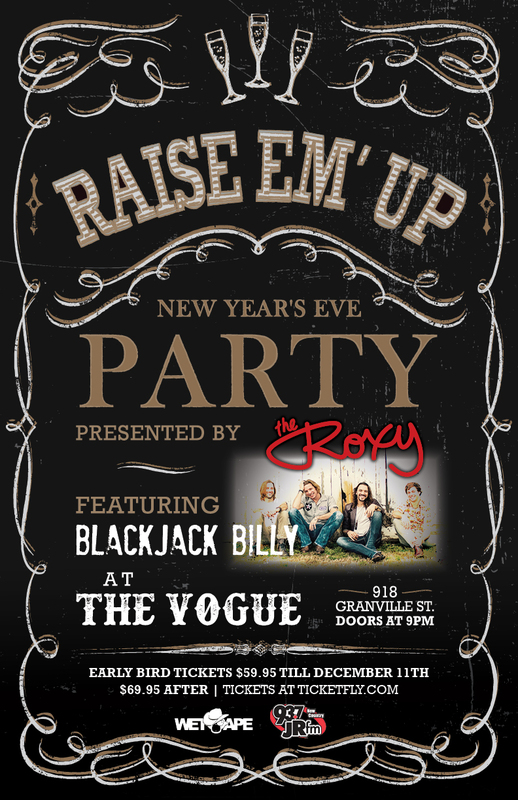 Ring in the New Year with a county concert from the amazing Blackjack Billy. Presented by The Roxy Cabaret & Produced by Wet Ape Productions! Early bird tickets available until December 17th! Check out options for the PRE and POST party at the Roxy! 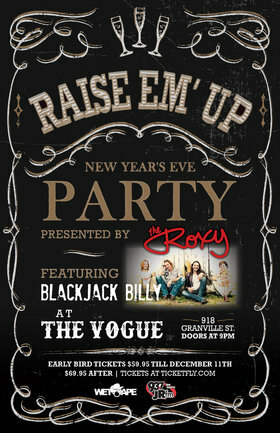 Pre-party tickets include a gift and intimate performance from Blackjack Billy at the Roxy before doors open at The Vogue Theatre. Get your Post-Party tickets to come back to the Roxy after the concert to party until 4 am!